March 26, 2014 Thanks to Alba we found a huge great bike shop of over 2500 m. Escapa Bicicletes in Sabadell also has a big working bay. There was one person who spoke English and he immediately translated to one of the mechanics what needed to be done. Jocelyn’s gear cluster was loose and my rear wheel needed to be trued. Both of these issues were worked although late so we found a hotel in Sabadell as the sun was setting. March 27, 2014 64 miles We rode out of town and immediately got into an up and down routine in the very hilly country. 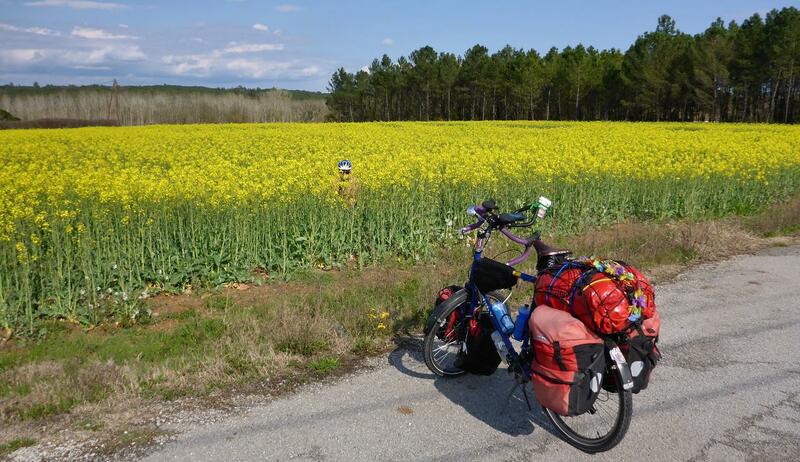 We followed Alba and Girard’s advice to ride inland into France. The riding was fun on the small roads that Jocelyn found. Lunch of cheese, couscous dip, chips, milk and donuts came from a nice market. It was all quickly gobbled and more miles then added. 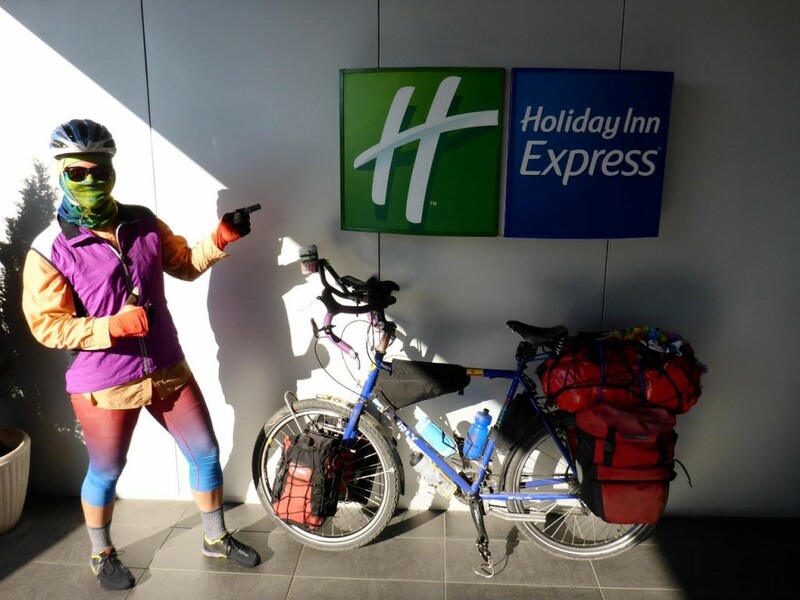 After 64 miles we found a very inexpensive Holiday Inn Express in the town of Salt. Next door was a giant mall but after a few minutes there we quickly tired, ate dinner, and then settled in for a good rest. 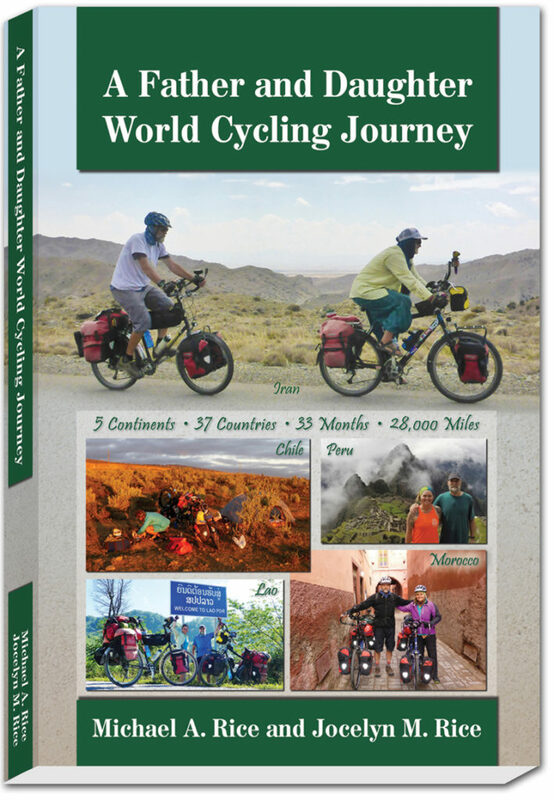 March 28, 2014 62 miles We once again got on the road early determined to make France. 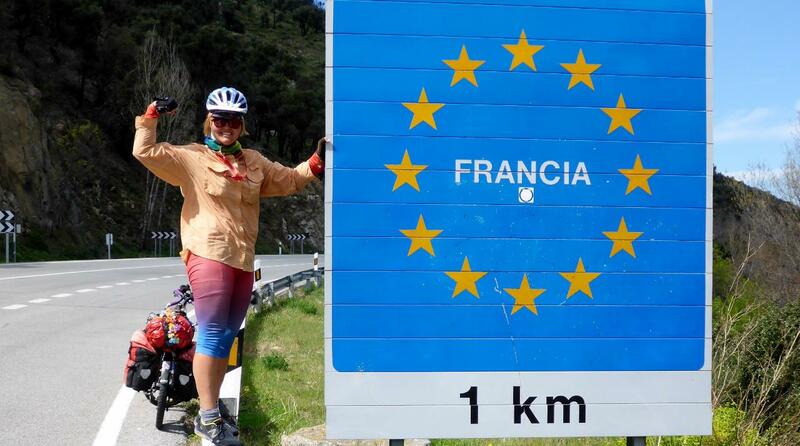 After an easy climb in a Pyrenees Mountains valley we entered the open border. There was no checking out of Spain and no checking into France. A little disappointing since we don’t have a passport stamp for either of those countries. We stopped at the first French bar and toasted this accomplishment with a beer. 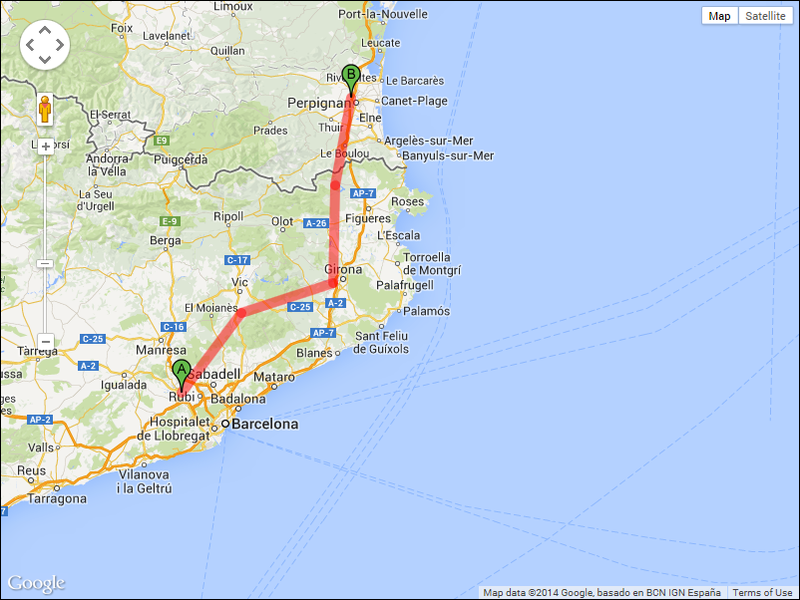 Then since we had a great tailwind we continued 20 more miles to Perpignan. 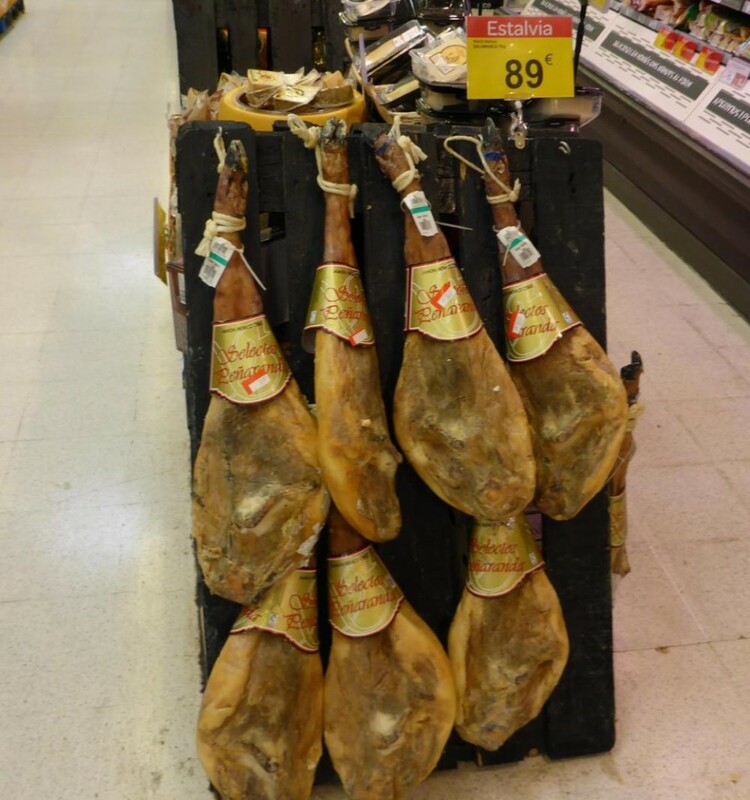 Spanish Jamon, cured ham, is very popular in Spain and is sold in bars and stores. It is too fatty for me. 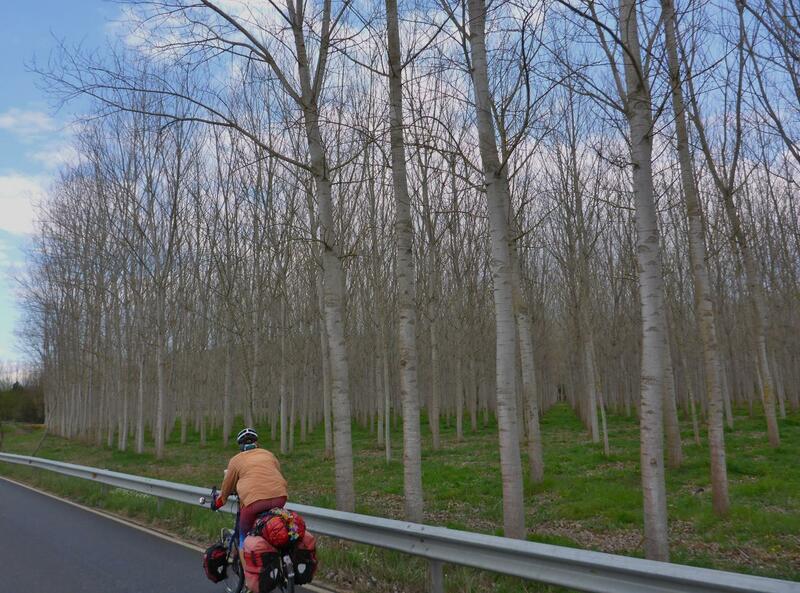 Riding along the farmed trees. We found a really nice H.I. Express in Salt. 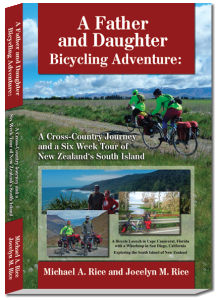 The Garmin Cycling Team doesn’t have anything on this Father and Daughter Team! We are on our way to France! There is snow on top of the Pyrenees. One of the working girls randomly hanging out by the roads. We saw over a dozen today. Beginning our climb up a Pyrenees valley. The last Spanish fort before entering France. I’m glad we took this picture as there were no signs once we entered France. 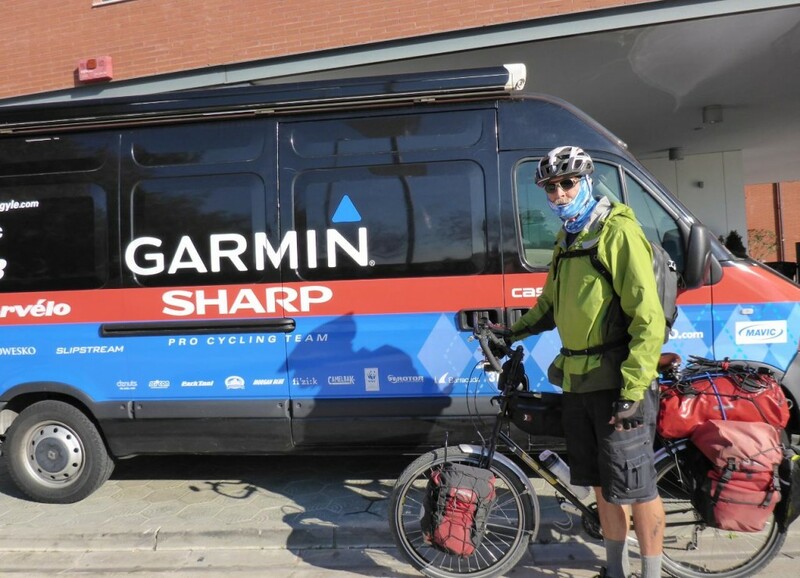 126 miles in two days.